In 1896, many members of the Church of God experienced a spiritual outpouring they identified as the baptism of the Holy Spirit. Because it was so similar to the experience of the early Christians on the day of Pentecost, it came to be called a Pentecostal experience, an enrichment of the Christian life through the power of the Holy Spirit that empowered believers to be effective witnesses of Christ. The principle distinctive of the Church of God as a Pentecostal organization is its believe in speaking with other tongues as the Spirit gives the utterance and that this is the initial evidence of the baptism in the Holy Spirit. Ministers and laity are full partners in ministry throughout every area of the church. Ministers in the Church of God are ranked as ordained, licensed, exhorter, minister of music and minister of Christian education. They achieve these levels of ministry through a profession of faith, commitment to the church, training, internship and fulfillment of credential requirements. The Church of God emphasizes the doctrinal position of the priest-hood of all believers and encourages laity to assume a Biblical role in local church ministry. Lee University, located in Cleveland, Tennessee, is the Church of God’s oldest and largest educational institution at over 3,500 students. Founded in 1918, it offers graduate and under-graduate degrees in more than 55 areas of study. Other institutions include Lee University Charlotte Center (Charlotte, North Carolina), European Bible Seminary (Rudersburg, Germany), Han Young Theological University (Seoul, Korea), International Bible College (Moose Jaw, Saskatchewan, Canada), Patten University (Oakland, California), Puerto Rico Bible College, School of Ministry (Cleveland, Tennessee) and Western School of Christian Ministry (Fresno, California). In addition, World Missions maintains 80 Bible Schools around the world. 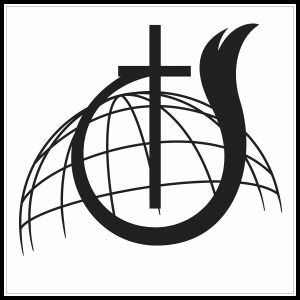 Founded in 1975 and one of only six Pentecostal seminaries in the U.S., the Church of God Theological Seminary(Cleveland, Tennessee) is the denomination’s largest graduate institution. It offers masters and doctoral programs. Lee University and Han Young Theological University also offer graduate studies. The Church of God operates three homes for children in the United States. These include the Smoky Mountain Children’s Home, Sevierville, Tennessee, North Carolina Home for Children , Kannapolis, N.C., and the South Carolina Home for Children, Mauldin, S.C. There are also many children’s homes and mission works around the world. Heart of Florida Youth Ranch, Citra, Florida, and New River Ranch, Fayetteville, West Virginia, offer help and counseling for troubled boys and teens. Covenant Place, Seymour, Tennessee, is a private home for unwed mothers choosing the right to life.